We've thoroughly reviewed JackpotCity Casino and gave it a questionable reputation rating. This casino has some good qualities, but also a lot of negatives because of which it's better to play elsewhere. In our review, we've considered the casino's player complaints, estimated revenues, license, games genuineness, customer support quality, fairness of terms and conditions, withdrawal and win limits, and other factors. Because JackpotCity Casino is related to other online casinos listed below, its rating is also influenced by them. Read the full review below and learn more about this casino. According to our research and estimates, JackpotCity Casino is one of the biggest online casinos with huge revenue and number of players. The revenue of a casino is an important factor, as bigger casinos shouldn't have any issues paying out big wins, while smaller casinos could potentially struggle if you manage to win really big. We currently have 26 complaints directly about this casino in our database, as well as 68 complaints about other casinos related to it. Because of these complaints, we've given this casino 50,365 black points in total, out of which 12,733 come from related casinos. You can find more information about all of the complaints and black points below. JackpotCity Casino appears on 3 blacklists that you can find below. We consider at least one of them to be fully relevant and serious, which is why we've deducted some points from our reputation rating because of these blacklists. As we already mentioned, we've given JackpotCity Casino a questionable reputation rating. That means that while it's not completely bad, it does have some negative qualities because of which it's advisable to look for a better online casino to play at. We have conducted extensive research on the web and as a result we have found following 108 complaints on JackpotCity Casino or any brands that might be interconnected with it. Taking into account seriousness and credibility of these complaints and estimated size of casino revenues we decided to give JackpotCity Casino a Questionable reputation. The casino failed to self-exclude the player. Rubitts asked to be self-excluded because he felt suicidal and the casino did so right away. But soon after that, he was able to deposit money and play again. He managed to lose $15,000. No further comment is available. Matt86 had closed the account due to his gambling problem but later on, he was able to open a new account with almost the same details, except the user name. He then managed to lose $10,000 which he was trying to get back from the casino since they failed in detecting it was him again. He was recommended by the ThePOGG to contact MGA for further assistance because they weren't able to get a hold of the casino for a resolution. No more update since then is available. The player's winnings were all confiscated. Whateverus from Canada played without a bonus and won CA$121,527. After successful account verification, he requested a withdrawal but it was denied. He contacted the casino immediately and found out that the account was compromised by the manager's decision and his winnings confiscated where the deposit was promised to be returned. No further information is available ever since. Very long verification process where the funds were confiscated without an explanation from the casino. The player tried to submit their documents for verification but was asked to send them again but this time, they needed their new ID because the old one was unclear and damaged for verification. Shortly after that, they received a phone call from the casino about their winning being confiscated. The player immediately sent a new ID with a declaration that certified it was a true photo of them. Ever since then, the casino didn't provide the player with an update. There is no further information available since then. The player's winnings were confiscated and the account was closed. Player complained that he was a regular player at the casino, won and lost money, always was paid, but the last time he asked for a withdrawal he had not been paid for over a month and then his account was suspended. No reaction from the casino, no more update since then. Account closed without any explanation. The player complained that after he asked for a withdrawal of some of his winnings and after he sent all the documents needed for the verification, the casino first told him his account was verified and his withdrawal would be processed but at the same time, his account got locked. The only reply he had was that it was a casino management's decision. No reaction from the casino, no more update since then. Terms and conditions breach accusation, account locked without any explanation. The player complained that after he won some money he asked for withdrawal and received an email saying that it was in progress. But one month later, he still wasn't paid so he spoke to the casino's live chat and was informed that he was not going to be paid because he broke the terms and conditions of the casino. However, no one was able to tell him why was it so. His account got locked. No reaction from the casino, no more update since then. All funds seized without relevant reason, deposit returned. Player complained that after he won a bigger amount of money and asked for a withdrawal, the casino asked him to send stamped documents for security checks. Player did so and his account was approved. However later he was informed that only his deposit would be returned and that he was banned from their site, a decision of the casino's management. Player was not aware of breaching any terms and conditions. No reaction from the casino, no more update since then. Extremely long withdrawal process while the casino played a runaround game with the player. Rubbitt, the player, requested a withdrawal of $2,240 but the casino would play a runaround with him when it came to payout. They kept giving the player different updates every time, once they needed different payment method, then the payment was refunded to their MasterCard, or they couldn't locate the payment, etc. Rubbitt also sent them both his MasterCard and bank statements on repeated occasions proving that no refund was ever received in either of his accounts. The casino didn't respond to the complaint and the case remained unsolved. Long verification process due to the player's account being under the review. The player, Booters1 from Canada, requested withdrawal of $500 but it was delayed due to the account being under the review. He did send all the documents needed for verification and didn't receive any response from the casino for over three weeks. The casino never responded to the complaint and it remains unsolved. Joint bank account, issues with verification process. The player complained that they had issues with withdrawing their winning because his ex-partner used the same bank account for gambling and the casino had issues with their account verification checks. There's no reaction from the casino, nor more update ever since then. Player complained that when he checked his account a day later the remaining balance was changed. He contacted the live support who told him someone else must've been playing with his account but still put some funds back to his account. Player requested to have his gaming sessions to be checked but was hopeless with the casino. No reaction from the casino, no more update since then. Player complained that the casino live chat kept misleading him so that he would deposit more and more in order to get a bonus but in the end he didn't get anything better and he wanted his deposit to be returned. Player was outraged. No reply from the casino, no more update since then. Player complained that on the transactions with the casino appeared other company name than is the casino's and so he wasn't aware that his bank didn't accept gambling and therefore his bank account was in jeopardy. He received no support from the casino. Casino replied very sparsely. No more update since then. Player complained that after he tried to deposit some money and after 2 of his bank cards got rejected the amounts were deducted from his bank account. He asked for the funds to be returned to his account but the casino's finance department was slow with processing. No reaction from the casino, no more update since then. Withdrawal issues, casino not replying. Player complained that after he asked for a withdrawal, the casino asked him to send documents for security checks. The player provided to the casino everything but after that, he didn't hear anything back from them. Player complained he had made some deposits onto his player's account but it didn't appear there. The casino told him he would receive his deposit back but he didn't have any update about the progress since. No reaction from the casino. Player complained he had received a paper offer from the casino via post but when he claimed it he was told that such offer didn't exist. The casino representatives told him he must had mistaken the casino but player refused this. No reaction from the casino, no more update since then. Player complained he received a bonus offer via post that was to expire in about a month but after he inquired about it with the casino live chat he was told that no such offer was valid anymore. Player informed the chat support that he was going to submit a complaint because it seemed like fraudulent offer and ended the chat. No reaction from the casino, no more update since then. Granddaughter opened a false account and made a deposit, the casino refused to cancel it. This person complained that his/her underaged family member opened a false account and made a deposit from a prepaid card. The damaged person asked the casino to void it and return the funds to the prepaid card but the casino claimed it was not possible and was not replying to the damaged person. The player's account was blocked without a relevant explanation from the casino. The player, Claracity from Canada, made a deposit of CA$2,000 and won CA$60,000. After she sent all the documents needed for her account verification, her account was blocked, money was confiscated and the deposit was promised to be returned to her. Claracity became desperate. There is no further information about this complaint and it remains unresolved. The casino claimed that the player already received their winnings. The player had been trying to receive their winnings of CA$2.240 but the casino claimed that they already received their money. The player was able to provide proof that the funds were never received. There is no further information available. The player didn't get paid his winnings. Falafelguden from Norway couldn't get his winnings and convinced that the casino was doing that on the purpose. No further details were available. The player requested a withdrawal of CA$10,694 but the casino refused to pay them and was looking for an excuse after an excuse. They became frustrated and upset but the complaint remained unsolved. The player's withdrawal request was under the review for an unknown reason. Denis from Canada requested a withdrawal but it was denied due to the funds being under the review at the casino. There is no further information available. The player got an error on a slot game and lost their winning. The player won 100,000 coins and when they were about to request a withdrawal, they discovered that the win wasn't added to their account balance. They immediately contacted the chat support just to find out it was an error and they didn't win anything. No further information is available. System discrepancy of remaining cash. Player complained there was an issue with he casino's system and he found discrepancies as for his withdrawal amounts. No reaction from the casino, no more update since then. Player complained he had asked to receive his winnings via check but it got refused by his bank. No reaction from the casino, no more update since then. The player requested a withdrawal of $20,050 via check but ten days later, he still didn't receive the money. When Huvasi contacted the chat for an update, they told him his winnings were sent to his VISA gift card that he once used before. Huvasi then contacted the VISA services where he was informed that such a huge amount wouldn't be accepted on a gift card. Later on, the casino told him that there was no other way for him to receive his huge winnings because Australia became a restricted country to play from and they were not able to help him anyhow. No further information. Player complained he was expecting a payment of his withdrawal request that had been approved but there were issues with the transfer. The casino sent him an incorrect transmit number so the player was unable to track it down. The last information said his case was escalated to the casino's operations team. No reply from the casino, no more update since then. Player complained the casino requested a certified proof of identity from him after ha changed his home address.His winnings were stopped until then. But the player said it had already been verified. No reaction from the casino, no more update since then. The player's withdrawal request of $13,100 had been delayed for no reason and when they contacted the chat support to ask for an update, they were surprised it was taking that long. The last representative put the withdrawal request into the urgent mode and ever since then we have no information whether the player received their money or not. The complaint remains unsolved. Withdrawal suspended for no reason. Player complained that at first he was expecting a payment of his winnings withdrawal but later he found out it was suspended by the casino management and he was not aware of the reason why. No reaction from the casino, no more update since then. Player complained that he had played at the casino for the 1st time, provided them personal bank information, then played with a bonus, won some money but the next day his account was locked and casino's management was overseeing his account. The player had no more information about the reason for this action and was confused. No reaction from the casino, no more update since then. Player complained about an extremely long withdrawal processing. The casino told him they had issues with the payment provider. No reaction from the casino, no more update since then. Issues to unsubscribe from notifications. Player complained he tried to unsubscribe himself from receiving notifications from the casino and he was hoping to close his account. No reaction from the casino, no more update since then. Unauthorized withdrawal from credit card. Player complained he had created an account with the casino but was never able to login. He then found out that the casino deducted a payment from his credit card without his authorisation. Playerd said the casino didn't have any records of an account on his name. No reaction from the casino, no more update since then. The player's account was closed without a relevant explanation. The player received a deposit bonus, played allowed games and bets, and after fulfilling the wagering requirements, requested a withdrawal of $130. After some time, when they tried to log in to the account, the password wouldn't work. They decided to contact the chat support which told the player their account was blocked due to the casino management's decision. No further update is available ever since then. Player started to play a free bonus game, after he finished it he could continue if he deposited some funds. Player complained he had deposited several times, but when he was close to winning he was not able to deposit anymore, the system wouldn't allow him to do so. The player spoke to the live chat about this issue but received an inequal compensation for his loss. No reaction from the casino, no more update since then. The player's winning was confiscated due to breached terms and conditions of a bonus. After the player accepted a bonus, they asked the live chat representative for the terms and conditions of it. They explained all the rules to them and the player managed to win £2,960. They requested a withdrawal but later on, found out that their winning was confiscated due to high betting. After numerous phone calls and promises of callbacks with updates, the player received an email confirming the funds would be confiscated. The player contacted the live chat again and they informed them their winning would be back at their account the following day. When the player contacted the casino via phone, they said none of it was true and the winning was confiscated permanently due to breached terms and conditions. No more update ever since then is available. Player complained that he opened an account with Ruby Fortune because he was not aware of the fact that it was in the same group of casinos that the one he had self-excluded himself from. He complained about the fact that the casino discovered this only 2 days later and in the meanwhile he won some money. He said he was not aware he shouldn't have played there and the casino didn't warn him in time so it was the casino's fault and they should pay him his winnings. No more update since then. Player complained that after he won some money and asked for a withdrawal, the casino asked him for notarized documents. However after the player sent them the documents the casino asked for the contact info of the notary person. Player gave them everything they requested, provided the documents certified by a new notary but the casino was not replying. No more update since then. The player's withdrawal was delayed. The player requested a withdrawal of $350 but reversed $50 of the amount and waited to receive the $300. Ever since then, the player had been waiting to get paid. No update is available ever since then and the complaint remains unsolved. Winnings confiscated,account blocked without explanation. Player complained that after he asked for a withdrawal, sent all the required documents to the casino and after they were approved, the casino took his winnings and blocked his account without any explanation. No more update since then. The very long verification process of over one month long. Richard requested a withdrawal and was asked to send notarized ID and bank statement for the account verification purposes. He did so immediately and ever since then, his account had been on stand by for over a month. No further information is available since then. Technical glitch while playing on his iPad; Extremely long process of verification (one month); Delayed payment; Bonus T&C breach accusation without relevant proofs and winnings confiscated; Lost deposit payment. Winnings cancelled without relevant reason. Player complained he won some money, the casino congratulated him and asked him for standard documents, but when the player later went to check the status of his withdrawal he found his account was suspended, decision of the management. His winnings were cancelled, only deposit returned. The player was not aware of any wrongdoing from his side. No reply from the casino, no more update since then. Winnings stopped for withdrawal, player was asked to chose different payment provider twice. Player complained that after he asked for a smaller withdrawal he was asked to chose a different pyment provider from the one he used to deposit funds. He then asked for a bigger withdrawal, was asked to send additional documents for security check and was asked again to chose a different payment provider.Until then his account stayed suspended. No reaction from the casino, no more update since then. Missing funds from bank account. Player complained that a sum of money got deducted from his bank account on behalf of Bayton Ltd (casino owner) but he claimed he had never made such transaction. No reaction from the casino, no more update since then. Player asked for a withdrawal, passed the security checks, the casino contacted him via phone to confirm all, but 10 days later he was still waiting for his withdrawal and the casino support was not able to give him any time frame. He later updated the complaint saying that his account got suspended after the complaint had been made. No reaction from the casino, no more update since then. The player requested to be self-excluded but the casino failed to do so and they lost $15,000 over the course of two days. The casino happened to close the account and two days later, offered the player $500 bonus if they are willing to re-open their account. The player agreed and lost another $15,000. No further update is available. The player's funds were confiscated and his account was blocked without an explanation. Brothervip played with a bonus and won $1,320. He requested a withdrawal and sent all the documents needed for verification, including a notarized copy of his passport. Around two weeks later, all of his funds were confiscated and his account was blocked without any explanation from the casino. There is no further information ever since and the complaint remains unsolved. The player's account was locked without any notification or explanation given. The player requested a withdrawal but it was rejected without any warning or notification. The deposit was returned to them and the account became locked. The player also complained about how difficult it is to communicate with the casino. There is no further information nor an update on the case and it remains unsolved. Extremely delayed payment for no reason given. The player, Thehoff21 from Australia, requested a withdrawal and sent all the documents needed for verification. Ever since he did so, the casino was providing him with all kinds of excuses not to pay him his winning. They also claimed that they tried to reach the player but he said he never received an email nor phone call from them. But, he would receive bonus offers all the time with no problem. There is no further information available and the complaint remained unresolved. Several requests for the same verification documents. Player complained after he asked for a withdrawal the casino kept asking him to send again and again the verification documents because they said they hadn't received them. The withdrawal processing was taking too long. Player complained that after he made a deposit to the casino and the money was deducted from his bank account it was not credited to his player's account. The casino was not giving him any answers concerning this issue. After the player asked for a withdrawal, all their funds were seized and the account locked. The player complained that after he asked for a withdrawal of his winnings, the casino told him the payment transfer was on the way to him. Later on, he was contacted by the casino and was told that there were some disputed amounts on his account, therefore, his withdrawal was cancelled and all funds were seized. The player said he would be fine if the casino kept the disputed amount and paid him the rest but his account got blocked. No more update since then. The player was accused of breaching the bonus terms and conditions. The player's winning was confiscated due to an accusation of the bonus terms and conditions being breached. There is no further information available at this point and the complaint remains unsolved. The winnings were canceled and the account blocked without any explanation given. The player complained that he had sent all the requested documents by the casino but his winnings got canceled and his account blocked. The only thing the casino told him was that it was a manager's decision. No reaction from the casino, no more update since then. All funds were seized without a relevant explanation from the casino. The player complained that after he asked for withdrawal and sent to the casino the requested certified documents, he didn't hear anything back from them. Later on, he received a response where he was accused of bonus abuse where all winnings were seized and only the deposit was returned to them. The player was convinced that he had not violated any of the casino's terms. No reaction from the casino, no more update since then. The player was missing funds after a technical glitch. The player complained that after he gained a special feature, he was logged off from the casino, but not from the internet and after he logged back in, his advantage was gone. This was not the first time this kind of glitch happened to him, however, the casino blamed his internet connection and offered him a small compensation. Later on, the player still didn't have any solution to his issue. No more update. The player got a technical glitch while playing on a mobile device. The player complained he played a game on his mobile phone and after he won, the free spins game stopped working. They said that they had open stakes on this game and it was the only one that stopped working via their phone. The casino support was not replying with any final solution to the player. No more update since then. The player didn't want any bonus for his deposit but still got one and he was unable to withdraw his funds. They complained that after they won a bigger amount they were able to withdraw only an amount of 6x of his first deposit and they were not aware of this before. The casino let the player make deposits even though they had self-excluded themselve from their sister casino. After a technical glitch, the player's account was blocked due to a self-exclusion at the casino's sister site. The player made a deposit, lost, made another deposit and lost again. They asked the casino for a free chip and they agreed and gave them one. When the player started winning, they suddenly got disconnected and the account became locked. The player knew that long time ago they self-excluded themselve at the casino's sister site but couldn't understand why they were allowed to deposit, play, deposit, and play again and on a top of everything, received a free chip from the casino since they broke a rule of self-exclusion. This answer from the casino was highly suspicious. This general accusation was one from many of that kind but the casino refused to share any details, they also did not provide proper evidence. Highly unprofessional from the casino. Extremely long withdrawal process. The casino response did not offer any helpful information or details about why they had a problem to verify the player's account. They even accused him of playing in the shared environment and breaching the terms and conditions. However, no evidence was provided. After winning in this casino, the player even got a congratulations email but he was unable to get his money for an unknown reason. The casino did not respond to his emails. Later when he placed an official complaint the casino responded saying the player used an irregular pattern, therefore, all funds were confiscated. However, no evidence was provided. The casino refused to pay winnings and closed the player's account because of an uncertain reason. The player was accused of having played in a shared environment. That was breaching the terms according to the casino and they confiscated all the winnings. However no proper evidence was provided, therefore this was highly suspicious. A bit more complicated complaint when the player didn't use his own credit card to deposit. It was a friend's credit card and he had a handwritten letter with the friend's approval. The problem was that the casino took a deposit from this card and when there was some balance on the account the simply closed it because of breaching terms. They should have either returned the deposit or let his account open with the balance. However, the evidence was missing. Complaint about a delayed payment from January 2018. The withdrawal request was made in December 2017. Delayed payment with an unknown status, the casino never responded. Extremely long withdrawal process, more than 6 months of waiting. The player was constantly getting the emails asking him for ID documents, sometimes 2-3 times a day. The casino responded but with no details or excuse. Delayed payment with an unknown status. The casino responded to the player's complaint and tried to resolve the situation where they promised the payment would reach the player's account in a few days. It was taking much longer than expected for an unknown reason and we still aren't sure if the player did receive the payment or not. The case remains unresolved. Again an issue about using a 3rd party card to deposit. The casino accepted the deposit but did not want to pay winnings. The casino responded that they would refund the deposit. It was not clear if they did. The player had a written approval saying he had the right to use the credit card. The terms about using a 3rd party card were unclear as they did not accept a written approval this time but they probably had in the past. The player was accused of using an irregular pattern. The casino refused to pay the win or returning deposit 200€. The player was not aware of breaching any terms. Also, no proper evidence was shown. The casino had either very strict terms or was trying to accuse the player of a random violation. Unprofessional behavior. The player's winning was confiscated and his deposit was promised to be returned to him. Jimmy requested a withdrawal of SEK43,873 and sent all the documents needed for verification. On the next day, the support told Jimmy he would get his deposit of SEK6,000 back but his winning would be confiscated and his account would be closed. The reason for this decision was that the manager decided to do so and they couldn't answer him any more questions. Jimmy also asked if he could speak with the manager by chat of telephone but he was told it was impossible. The player's winning was confiscated for no relevant reason. Giedriukas requested a withdrawal of €300 and two days later was asked to send documents needed for verification, so he did. After not hearing from the casino for some time, he decided to log in to his account and found out he couldn't. He immediately contacted the support and they told him his account was closed due to Operations Team decision to do so. They never explained their decision more thoroughly to the player and they also confiscated his winning. The complaint remained unresolved. The player's winning was confiscated without an explanation. Kiy fulfilled the wagering requirements of the bonus that he accepted and finished with a balance of $235. He requested a withdrawal and about three days later, the casino confiscated his whole winning and blocked his account without explanation. The casino never responded to the complaint and ever since then, it remained unresolved. The player's account was blocked due accusation of a breached terms and conditions. The player, Mikkosalm from Finland, wanted to withdraw his winning but he couldn't do it via Skrill payment method or his Finnish bank account. The casino asked him to send documents needed for verification but a couple days later he got an email stating that they won't pay him his winnings. The reason happened to be that he was linked to a group of players that shared the same identifiers and until the investigation of all the members wasn't over, his account would remain closed. Mikkosalm asked the casino to provide evidence, but they never did. The case remains unresolved and there is no further update available. The player was accused of broken terms and conditions of the casino and her account was blocked. The player INGRIDALABU from Lithuania stated that her account was blocked after she requested a withdrawal due to broken terms and conditions of the casino. They claimed that someone else had to either use her computer to play or used the same IP address. The player demanded more evidence from the casino because she stated that she was the only one playing from that PC and IP address. The casino replied that they cannot provide more information for the 3rd party and the investigation team has decided that the account would remain closed. This complaint was left unresolved due to a lack of evidence from the casino. The winning was delayed but we believe it was likely paid. 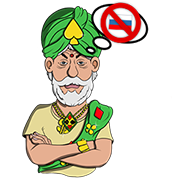 SAZZAD, a player from Bangladesh met the wagering requirements of his 100% bonus and requested a withdrawal of $300. He was asked to send all the documents needed for his account verification and so he did. His payout became delayed for an unknown reason and he kept on contacting the casino for an update every day until one representative told him he should receive it soon. Sazzad didn't provide any update of this complaint and it remained unresolved. The player's account was locked due to irregular activities. Hellena666 requested a withdrawal of €1,150 and sent all the documents needed for her account to get verified. Shortly after that, she received an email that stated her account was locked due to irregular activities. The casino informed her that they would start an investigation to see if they could reopen her account. But later on, the casino sent Hellena an email to tell her that there has been no further investigation and their decision was final and the account wouldn't be unlocked. The complaint remained unresolved. The player received an unwanted bonus. Weeble complained that after he completed the wagering requirements and was ready to request a withdrawal, he received an unwanted bonus. He immediately contacted the casino via live chat and asked for a bonus removal but the request was denied saying that he already started playing it. No further information is available ever since then. The player claimed he never received his winning but the casino said otherwise. The player, Tomo, requested a withdrawal but it was delayed for an unknown reason for over three weeks. When he contacted the casino for an update, they asked him to send more documents needed for verification. Later on, the casino responded to the complaint and claimed that the player's winning was sent to his account via VISA and all they needed from him was certain information which he needed to get from his bank. This information was requested from the casino by VISA in order to investigate the issue. Tomo refused to get them the information and kept on offering excuses that his bank wouldn't provide them with such information. Due to the lack of co-operation from the player, they were unable to pursue this matter further and they provided him with an official letter from their processors that confirmed that the funds had been deposited into his VISA card account. The player since charged back his purchase. The player's account has since been locked and will remain so for receiving a substantial withdrawal and for then charging back his deposits. There is no further information available. The casino failed to help the player with his self-exclusion. The player, Secchetto67, asked the casino to be self-excluded on the same day of his registration. He admitted to them he's had a gambling problem but they never responded to any of his requests. There is no further update available on this complaint. The casino accused the player of broken rules but never provided relevant evidence. Victor requested a withdrawal of €1,000 and sent all the documents needed for his account verification. Shortly after that, his account became blocked and when he asked the support about it, they told him he needed to send a selfie picture of himself and he did so right away. Later on, Victor asked the support for an update and was told that his account would remain blocked because apparently, he used a different computer to play at. He claimed he didn't play anywhere else but on his PC and unless the casino provides relevant evidence of their accusations, the complaint would remain unresolved. Complicated document verification that caused the player a delay on receiving his winning. Phil wanted to withdraw his winning of CA$1,300 and the casino asked him to provide documents to verify his address. He sent them in right away but they demanded more documents, this time it was a bank statement with an official stamp on it. After Phil had sent that document, the casino said it wasn't sufficient enough and asked for a bank statement again, this time for it to be signed. Phil's bank refused to give him such a document and there was nothing else he could to in order to receive his winning. The complaint remained unresolved without any further update. The player didn't meet the wagering requirements. The player, Poorunluckyguy, wasn't able to withdraw his winnings due to high wagering requirements. The casino gave him his deposit back, but he wanted the rest of the money to be returned to him, too. There is no further update ever since then. The player was accused of breaching bonus terms and conditions. Ilpan from Sweden accepted a bonus, fulfilled the wagering requirements and won. He also made sure to follow all the rules about the max betting. After that, the casino sent him an email which stated they soon won't accept Swedish players so he decided to withdraw his winnings just to make it before the restriction was to start. He didn't succeed because the casino accused him of breaching the bonus terms and conditions which he disagreed with. There is no further update ever since then. The player was asked to send his documents more than 3 times. The support was not helpful at all. However, the player did't wait more than 10 days before placing the complaint. Later he was ensured he should receive his money in a few days. The player was accused of irregular play. However, the casino did not provide any evidence. The player tried to contact tthe support team, but he was unable to get an answer and his account was locked. The player was asked to send verification documents multiple times. Delayed payment- unknown status. The player made a withdrawal request, later on, the amount was returned to his casino account. An uncertain case we are not sure whether the player received his money or not. The player did not receive his winnings even though the casino claime it had been sent. Uncertain case. This was highly difficult to decide as the casino never responded to this complaint. The player was told the payments had been processed but he didn't receive anything. We were not sure whether he received it later because there was no update. The player had a problem to withdraw his winning due to payment methods. Really angry complaint about an unprofessional service, whether the player got paid stayed unclear. Complaint about a delay payment, no clue if the player received his winnings with a delay or not, he never wrote any update. He wrote his money were not receive yet. It meant it probably had a delay but we did not know if it had been sent or not. Slow payment because of a Mexican bank account. There was a delay of more than a month. However, the casino responded many times and tried to resolve the issue with the Mexican bank. The outcome stayed unclear as the player did not confirm whether he received the money. This complaint from December 2016 stayed unresolved, no response from the casino. The player was asked 3 times to send a utility bill. No clear outcome of this situation. Unclear complaint where the player got angry because the casino asked him to resend documents 3 times. The outcome of the situation stayed unclear as we could not decide whether the player had received the payment or not. Historically there were many complaints older than 4 years, some of them were resolved but some of them stayed unresolved. This issue was about a 3rd party card deposit. The player took it to the Malta Gaming authority. No updates about what happened afterward. The casino responded 3 times to this complaint. However, after the player said he had taken the case to MGA they said they would communicate only with the MGA. 3rd party credit card use problem, only partial refund. A very uncertain case, the player used 2 credit cards, one being his wife's credit card but with her permission. The casino asked for all the documentation and then they refunded $200 out of $500 deposited. The casino had maybe unclear terms regarding this and the player may place his complaint directly to MGA.